Scouting the Enemy – How Do the Titans and the Chiefs Match Up? 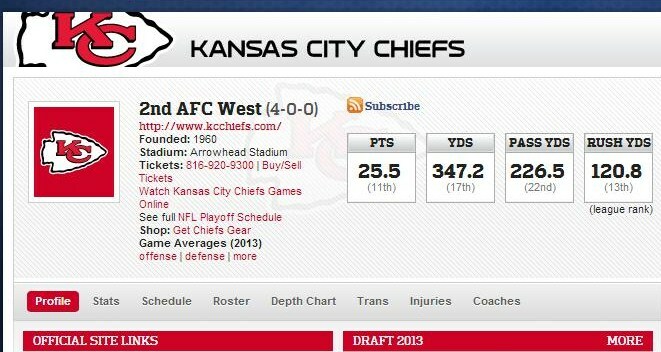 The Titans and the Chiefs match up very well as they are similarly built. 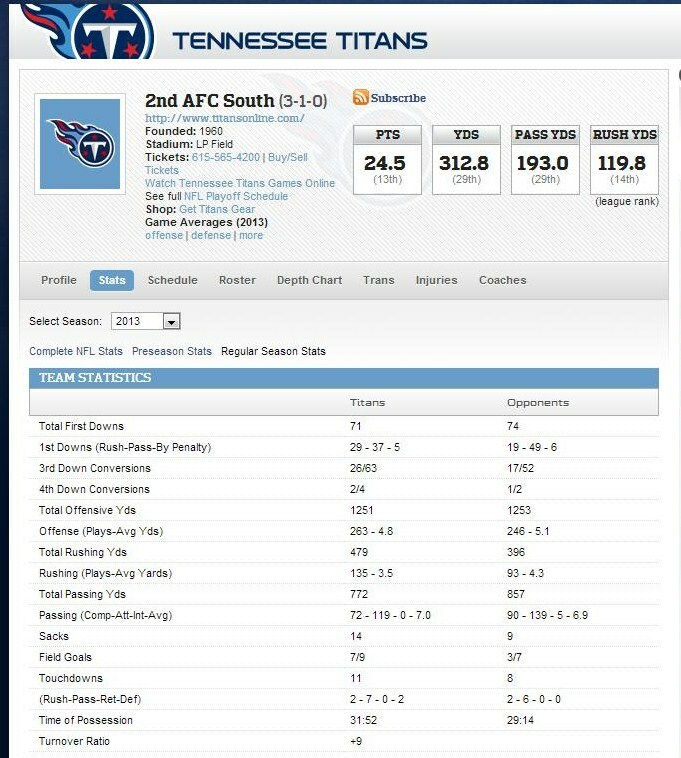 The Chiefs run a 3-4 defense while the Titans run a 4-3 base defense but otherwise there are some true similarities. Both teams have done well so far with efficient quarterbacks who have protected the football. The Chiefs are more successful running the football so that is obviously an area of concern for the Titans defense. Jamaal Charles is a running back that is used a lot in the passing game and he has 502 yards from scrimmage. Meanwhile, Chris Johnson is coming off a game where he rushed 15 times for 21 yards and a 1.4 yards per carry average. The Titans have to do a better job running the football in this game. The Titans have a better wide receiver corp and will need Ryan Fitzpatrick to be as efficient as Jake Locker has been in moving the chains and getting the ball to Nate Washington and Kendall Wright. It will be interesting to see how much rookie wide receiver Justin Hunter plays this Sunday. The Titans could have a real mismatch putting Hunter against cornerback Brandon Flowers who while good is only 5′ 9″. You would think they put Sean Smith who is 6′ 3″ on wide receiver Nate Washington who is playing excellent football right now and is coming off a big game against Antonio Cromartie. On defense, the Chiefs have a very good linebacking corps and Justin Houston and Tamba Hali are playing excellent football. Kansas City top to bottom may be better defensively than the New York Jets but then again part of their defensive dominance has come against the hapless Jacksonville Jaguars and New York Giants. RILB Derrick Johnson leads the team in tackles with 30 tackles, 27 of them solo. Justin Houston has 19 tackles, 7.5 sacks, 1 tackle for a loss, 3 passes defended and 1 forced fumble with 2 fumble recoveries. Dontari Poe has 3.5 sacks, 12 tackles, and 2 interceptions. Tamba Hali has 3 sacks, 1 pass defensed, a pick six, and a forced fumble. Cornerback Brandon Flowers is their worst ranked defensive back right now but he isn’t healthy. 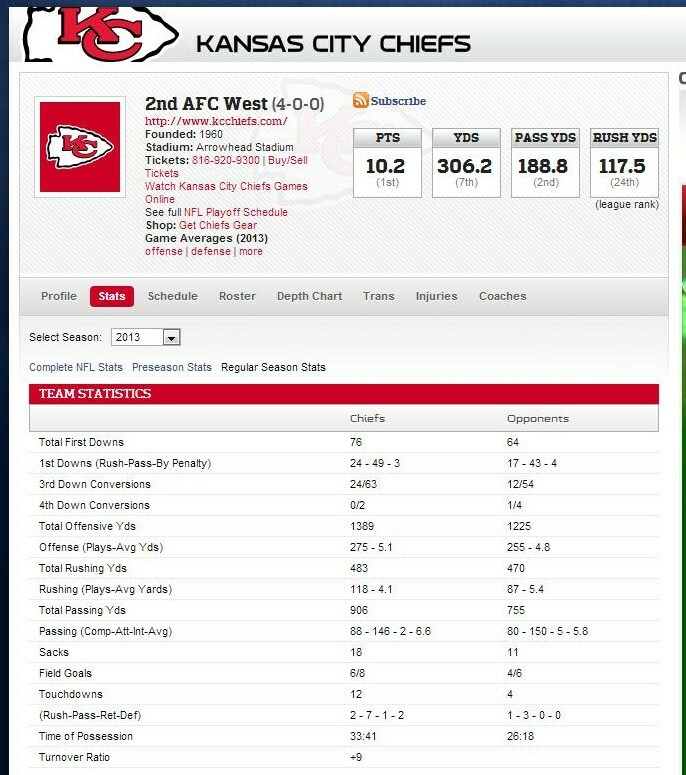 The Chiefs have a very tough secondary and are only allowing 188.8 passing yards per game but keep in mind also who they have played. They are allowing 117.5 rushing yards per game which is 24th in the league. The Titans and the Chiefs both have hard hitting safeties that contribute well in run defense and are used almost like an extra linebacker. Eric Berry is 4th on the Chiefs defense in number of tackles with 16 and Bernard Pollard is 2nd on the Titans in tackles with 29. The Titans run a 4-3 base and linebacker Zach Brown has been very effective at getting to the quarterback. Not only does he lead the team in tackles at 27 but he also is tied with defensive tackle Jurrell Casey in leading them in number of sacks with 3. Stout defensive ends Ropati Pitoitua and Derrick Morgan each have 2 sacks. The Titans and the Chiefs are dead even in the takeaway ratio at +9 and are the league leaders in that category. The team that continues to take care of the ball and force turnovers likely wins this game. I believe the Titans will continue to roll and win this one in a close hard fought game. Previous Cover 3 NFL Premier – Check Us Out!